You are currently browsing the category archive for the ‘Principles for a new Constitution’ category. Junius Richard Jayewardene - 2nd President of Sri Lanka. In office February 4, 1978 – January 2, 1989. Sri Lanka has in fact been singularly unlucky in the election systems it has adopted over the years. Initially we had the first past the post system used in Britain, whereby the country was divided into constituencies, which elected members by simple majority. There were just a few constituencies which had more than one member, a system designed to ensure representation of different communities where they were mixed up together so that two separate constituencies would not have served the purpose. Thus Akurana usually returned one Sinhala and one Muslim member, while Nuwara Eliya, which became a multi-member constituency for the 1977 election, had one representative each of the UNP, the SLFP and the CWC. In general however the philosophy was that the winner, by however small a margin, took all. In Britain, the effect of this is mitigated in the country at large in that there are certain constituencies which always stay with one party, so that the party that loses the election still generally has substantial strength in parliament. In Sri Lanka however, where most constituencies are what are termed marginals, ie a small shift either way changes the result, the two major parties found themselves reduced to very small numbers when they lost an election. Thus the UNP got 8 seats out of 101 in 1956 and 17 out of 157 in 1970, while the SLFP had 8 out of 168 in 1977. The party that won conversely had a massive majority, even though its share of the national vote was just around 50%. Both in 1970 and in 1977 these massive majorities enabled the party in power to do virtually anything it wanted, including the introduction of new constitutions that represented only their own desires, and the extension of the term of parliament. It is conceivable that in 1970 those who perpetrated this injustice actually believed in the slogan that Parliament was supreme, in that it represented the people. The Constitutional principle that representatives elected by the people for a particular period cannot deprive the people of their basic rights was not recognized in those days. J R Jayewardene however, who presided over the 1977 government and its majoritarian excesses, understood himself the need for better representation and more safeguards, and in his new constitution he introduced proportional representation. For the future he instituted an election system whereby voting was by district, with the quota of seats for the district divided according to the proportion of votes each party got within that district as a whole. On that system a majority of two thirds in Parliament would have represented a high proportion of the population, so allowing certain measures to be passed by such a majority would have been based on their having the support of representatives of well over half the people. However he passed several measures with the two thirds majority he had obtained under the earlier system, including a bill to amend the constitution to extend the life of that parliament by a further six years. S.W.R.D. Bandaranaike (January 8, 1899 – September 26, 1959) was the fourth Prime Minister of Ceylon (later Sri Lanka), serving from 1956 until his assassination by a Buddhist monk in 1959. 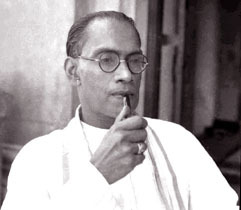 In 1956 S W R D Bandaranaike became Prime Minister, in a coalition of nationalist forces dominated by the Sri Lanka Freedom Party that he established on leaving the UNP. Though initially he had presented himself as the champion of the common man against the elite which had dominated Sri Lankan politics, due to the pressures of political competition his victory was seen as the triumph of Sinhala nationalism. Practically his first measure was a bill that made Sinhala the official language of the country. 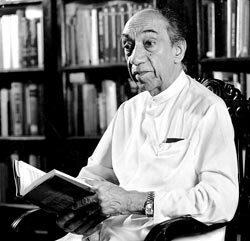 Earlier both he and J R Jayewardene, who was the virtual leader of the UNP after its defeat, had advanced the claims of Sinhala as opposed to English (without any desire to denigrate Tamil). By 1956 however parity of status of Sinhala and Tamil was abandoned by both parties in their pursuit of votes. 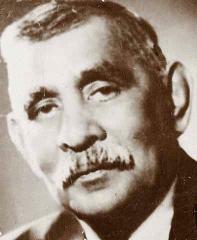 Don Stephen Senanayake (October 20, 1884–22 March 1952), first Prime Minister of Ceylon (now Sri Lanka) from 1947 to 1952. It was D S Senanayake who presided over negotiations towards independence, with the Commission led by Lord Soulbury, which was sent to Ceylon to commence discussions during the war, in recognition of the loyal service to the British war effort made by Ceylon and the Board of Ministers. 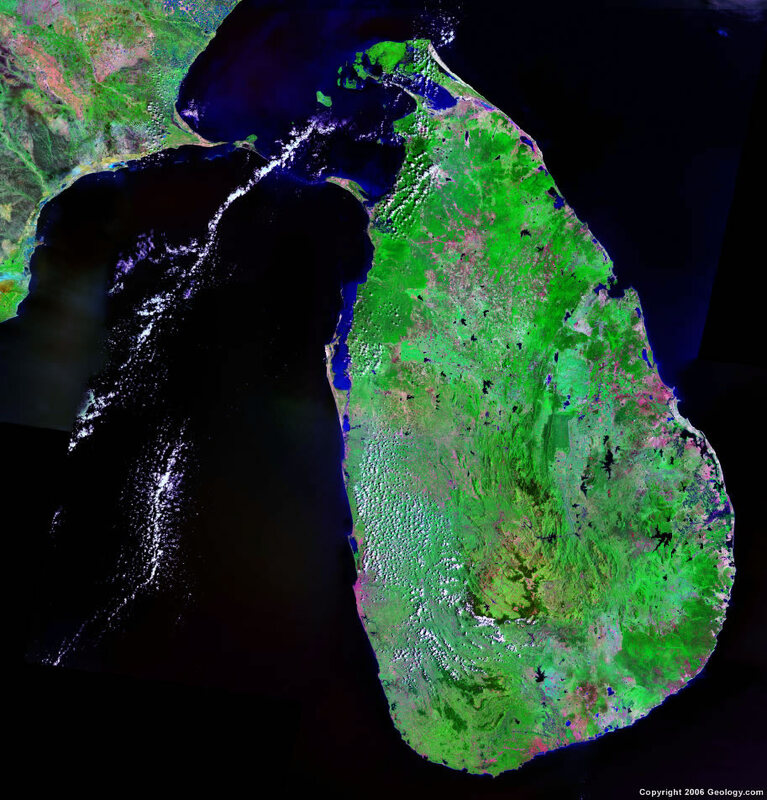 Though initially what was planned was simply a larger measure of self-government, the logic of history, and the imminent independence of India, prompted Britain to agree also to the Ceylonese request for independence. The new Constitution, under which Ceylon became independent in February 1948, abolished the State Council principle of encouraging a sense of responsibility regarding government in all members of the Legislature. It introduced instead an oppositional system based almost entirely on the British cabinet system. After Parliament was elected, the person who commanded the confidence of a majority of the members of parliament was appointed Prime Minister, and he then appointed a Cabinet to exercise executive power. Though in the first Parliament that was elected there was no clear majority, D S Senanayake managed to put together a coalition, consisting of his own United National Party (into which S W R D Bandaranaike had already merged his Sinhala Maha Sabha), Goonesinha’s Labour Party, G G Ponnambalam’s Tamil Congress, and some other independent politicians. The British system (or Westminster, as it is termed, after the site of the British Parliament), institutionalizes oppositional politics, and accordingly Sri Lanka too now had a leader of the Opposition, who was N M Perera, leader of the Lanka Sama Samaja Pakshaya, a Trotskyist grouping. The opposition included other Marxist parties, and also a breakaway group from the Tamil Congress, the Federal Party led by S J Chelvanayakam. 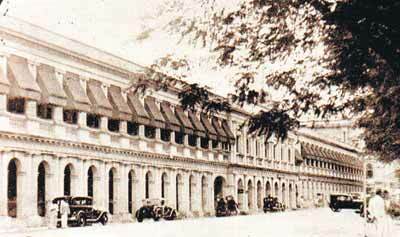 The Legislative Council building in Janadhipathi Mawatha (then called Queen Street), Colombo Fort. The building later housed the Senate (after Independence) and is presently occupied by the Foreign Ministry. 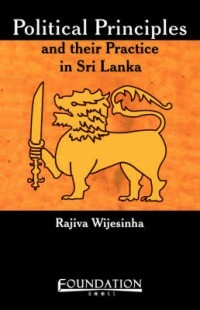 (This simplified version of the fifth chapter of Political Principles and their Practice in Sri Lanka, presents the constitutional history of Sri Lanka in light of the principles discussed in the earlier chapters). The main complaint of Ceylonese politicians with regard to the Manning-Devonshire Constitution was that, while the Legislative Council in theory had authority over the government, since it could introduce and amend laws, and controlled the budget and public spending, it had no executive powers. Two representatives on the executive council, without responsibility for any specific area, could not really influence governmental action. In response to these complaints, and also inasmuch as Britain had in the 1920s a Labour Prime Minister, with at least some members of the cabinet and the parliament keen on reforms in the colonies, another Commission was sent out at the end of that decade to draw up a new Constitution. The Donoughmore Constitution, as it was known after the Chairman of the Commission, Lord Donoughmore, moved in radical new directions. It introduced universal suffrage, which was in fact opposed by most Sri Lankan politicians, Ponnambalam Ramanathan and James Peiris, E W Perera and D B Jayatilaka, D S Senanayake and S W R D Bandaranaike. Only two minor politicians, including the Labour Party leader, A E Goonesinha, spoke in its favour. In common with most countries, Sri Lanka had an autocratic form of government for much of its history. Kings (or sometimes queens) ruled in Sri Lanka from well before the Christian era, and changing the government meant the king had to be changed, often through violence or invasions. Sometimes the country was divided into several small kingdoms, with different kings who were independent of each other. More often it was unified, with one king dominating other rulers who were characterized in different periods as sub-kings or as governors. Of course these kings needed the advice and assistance of others to rule, and there were Councils with various responsibilities at the Centre. There were also systems of local government, with Councils of elders in villagers, or Councils of various sorts to advise governors of regions. However, all such Councils existed at the pleasure of the King, as did the Courts. They, and governors, were chosen or appointed on the sole authority of the King. Though obviously good rulers took into account the wishes or preferences of their people, there was no accepted principle that the people had a right to have whom they wanted in authority over them. 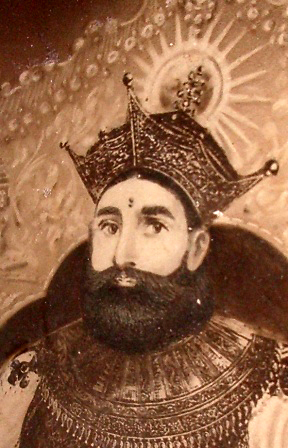 The only occasions on which the will of the King was not absolute was with regard to the succession or to sub-kings, where heredity was crucial. Democracy comes from two Greek words, ‘demos’ and ‘kratos’, which mean ‘people’ and ‘power’. Thus democracy means a political system in which power belongs to the people. Few people will disagree that this is the best system of government, since people who make up a State, and therefore the government of a State should be in the hands of its people. However numerous disagreements arise when we try to work out the best mechanisms through which the people can exercise their power of government. Clearly people cannot all rule together. Therefore, in a democracy, some people have to rule on behalf of the rest. But choosing representatives of all can be a problem. Athens for instance, where democracy first established itself as a distinct system, found that when there were elections, the rich were chosen. They therefore instituted a system where those who exercised legislative or executive power each year were chosen by lot. This, they felt, led to a more truly representative government than choosing by election which benefited those with financial and other advantages. The most important function of a government is ensuring the security of its people. This includes defence, the work of the security forces in dealing with external threats. But usually more important in daily life is internal security, the maintenance of law and order within a country. 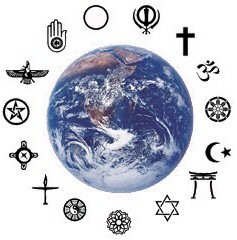 Basic concerns in this respect can be seen in the rules of religions, even before codes of law were developed. All religions prohibit murder and robbery. Such actions are termed criminal acts, and dealing with them is the direct responsibility of the government. Though such actions are perpetrated by some individuals against others, they affect society as a whole. Such activities are termed Criminal Acts, and government is expected to bring their perpetrators before the courts. When a case is brought under Criminal Law, the government prepares the case and prosecutes the accused. Since these are serious issues, and punishment is severe, the guilt of the accused should be clearly established. To avoid punishment of the innocent therefore, it is necessary for the prosecution to prove its case beyond reasonable doubt. Otherwise the accused is acquitted. In countries like Sri Lanka which were under British rule, there is a sense that the powers of government are unlimited. This also applies to the functions of government, that is the things that a government should do. Under the colonial system, absolute power belonged to a foreign country, and the representatives of that country who governed were not accountable to the people of the country that was governed. The idea that the people are superior to the government, and that the functions of government should be limited to those people want, was not part of the colonial system. Generally by government we mean those who take decisions on behalf of a country. However the country itself is different from the government. Not everybody supports the government of his country. We must distinguish then between the State, to which we all owe loyalty, and the actions of government. The Head of State is the symbol of that State. Since he officially represents its citizens, his role as Head of State demands the allegiance of all citizens. There are basically two forms of State, Republics and Monarchies. In a monarchy, the Head of State is a King or Queen. Earlier States in effect belonged to monarchs. In theory, that is the case even now, though in fact Kings usually have no real authority. This generally belongs to a separate head of government chosen by the people, though in theory acting for the monarch. England and Japan are examples of monarchies where executive power belongs to a Prime Minister elected by the people. But there are also monarchies, such as Brunei, where the monarch has executive power and is Head of Government as well as Head of State. A Republic, as the word indicates, is a public body. It belongs to its people and its Head of State, generally called the President, represents the people. In some countries, the Presidency is a formal position, with little power like the British Queen. India and Germany are example of this.